The main reason so many people never realize their true potential and accomplish their dreams is because they have a poor relationship with their inner child. They're split off from this little person that was them many years ago. When you divide yourself this way you're never really whole and these two parts of you are always working against one another. You think you're an adult, guiding your life along, but nothing could be further from the truth. Throughout this book we'll look at various ways your younger self was misguided and poorly programmed, and ways to open up communication and heal her. You'll forge a new and better life path that will get you where you want to go. 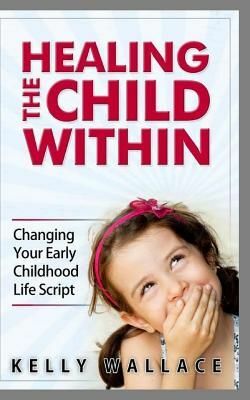 You'll rewrite the early childhood life script you've been reciting all these years and release outworn beliefs that were firmly put into place by your caregivers. It will take time and patience, but you'll learn to love and protect that precious part of you so you can work together at last, though you'll be the one in the driver's seat from now on. And now your journey begins! Don't worry, I'm right here with you.